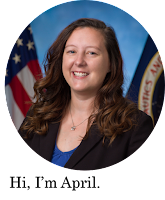 Being a relatively new Flight Test Engineer, I have been learning a lot. Not just about stripcharts, handling qualities and helicopters, but also about flight gear, writing fast, and fitting all of my D-crap in my flight suit. It's proving to be an interesting problem. As you may have noticed, I do not currently have a spot for the Pump. He hides out in his usual spot (the bra) even while the rest of me is encased in said, flight suit. 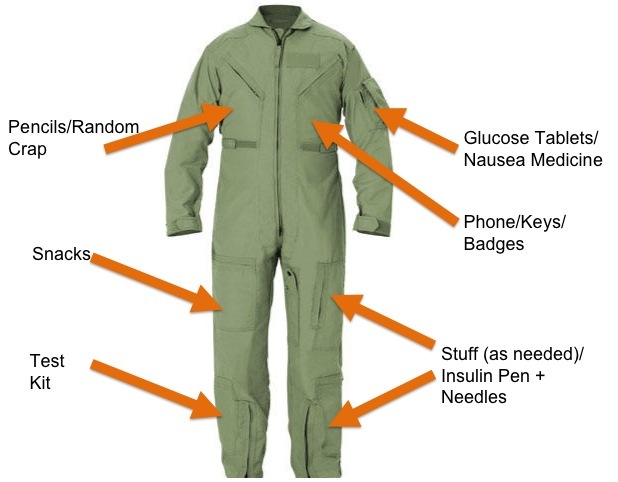 This makes it extremely difficult to bolus or administer a correction (because honestly, I am in the flight suit a lot more than just "during the flight"). I'm contemplating creating a tubing hole into one of the pockets for easier access. What do you guys think? Oh, and here is the flight suit actually on, before my first flight ever!! I sent this pic to my mom, I was so proud I had finally made it! Remember when we made that tubing hole in one of your dresses pockets for your pump? I say go for it, it's gotta be better than unzipping your flight suit and reaching down your shirt for your pump. Oh wait isn't this where the remote comes in to play? Looking good in the flight suit April! I'd definitely put a hole in your suit for the tubing! Make it like a button hole opening so the edges don't fray (can you tell that I sew ?). Just make sure it is in the right spot first, so the pump slides into the pocket easiest to reach. I can't remember if you are using a PING (Animas) pump - if you are - like your Mum says - I guess use the remote instead of putting a hole in your suit? Mom: This new pump doesn't have a remote...that was only rusty 508!! T: That sounds cold!! We finally got the G off down here! It's funny to see Dave's breath when he is flying!! FatCatAnna: Thanks for the suggestion! I wish I had your sewing capabilities!! I think I have figured out the correct pocket, I just want to be sure before I screw something up! !